Our crowdfunding campaign has ended, but you can still support our Football Team by clicking here. 57 years in the making. In 1959 and in 1960 New Mexico State University had two back to back bowl appearances. 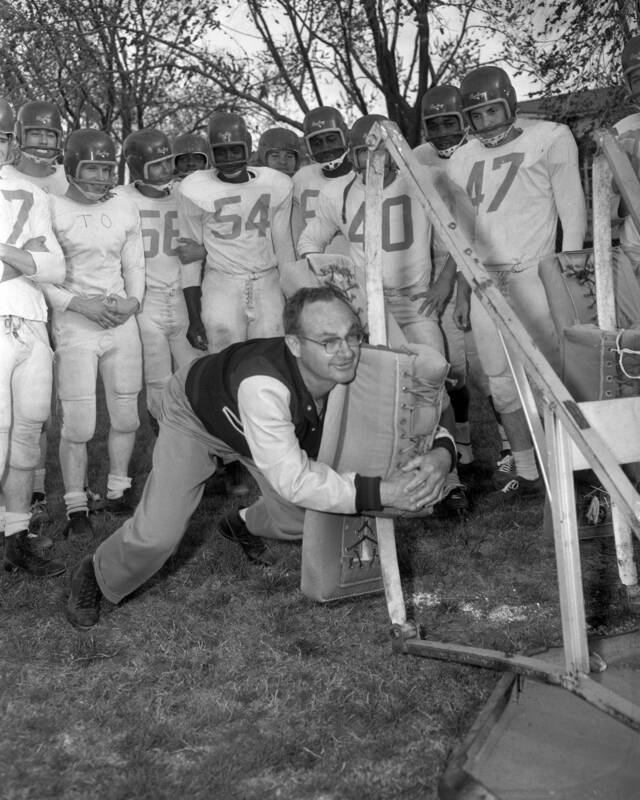 It was under the direction of Warren Woodson that the Aggies would experience a thriving football program. 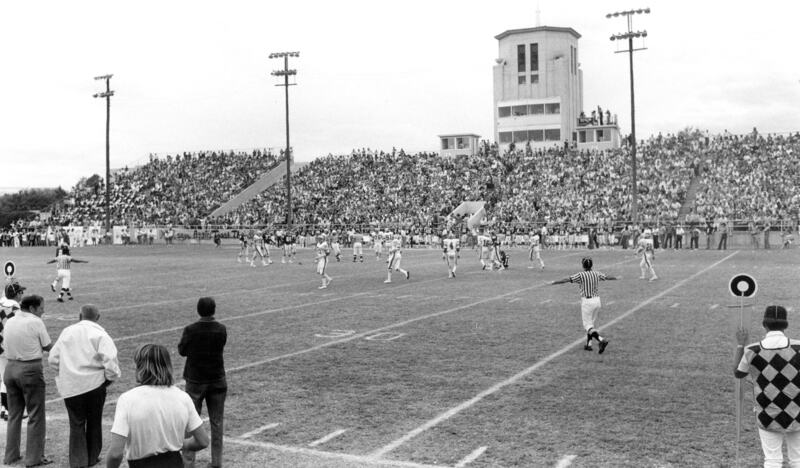 The excitement was palpable in those days and fans would fill up Aggie Memorial Stadium. Pictured below is the 1960 Bowl Team. The 1960 team had a phenomenal year and a record 11-0. 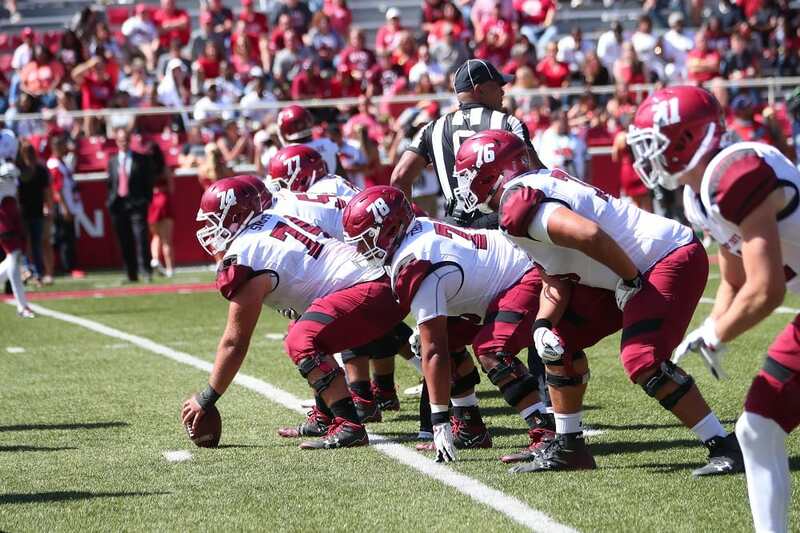 It is the only time in program history that NMSU football has experienced an undefeated "perfect" season. NMSU defeated Utah State, 20-13, in the 1960 Sun Bowl and attained a final AP Poll ranking of 17th. Quarterback Charley Johnson won the bowl MVP honors both years becoming the first and still only player in NCAA history to win the MVP award from the same bowl game in back-to-back years. Our football team has had a 57-year bowl drought, the longest in the country. Through the years we have had dedicated fans who have been there for us. A new era for Aggie football. Cheering us on from the stands, wearing your crimson and supporting us through your philanthropic efforts to enhance our team and help us realize new opportunities. Your support keeps us fighting for our future and fighting for you. Your contributions are an investment in our students athletes and all future Aggies that come play for our program. It's been 57 years, support the Aggie football team of today and tomorrow, to keep you cheering, keep us fighting and make you proud. Our student athletes are standing on the verge of greatness, but we need your support to keep the momentum going. Your donation, of any amount, toward the Football Success Fund will empower our program to be greater and do greater things. Every donation goes toward recruiting more student athletes, offsetting the cost of student travel and any immediate football program needs that we may arise. Our goal is to continue to improve and develop our team and are asking you to join us in making this possible. 100% of all contributions will go toward the Aggie Football Program. Your donation of $25 provides support with recruitment and student travel. Your donation of $57 is an investment in our success! Your donation of $75 provides support with recruitment and student travel. Your donation of $100 provides support with recruitment and student travel. Your donation of $250 provides support with recruitment and student travel. Your donation of $500 provides support with recruitment and student travel. Your donation of $1,000 provides support with recruitment and student travel. 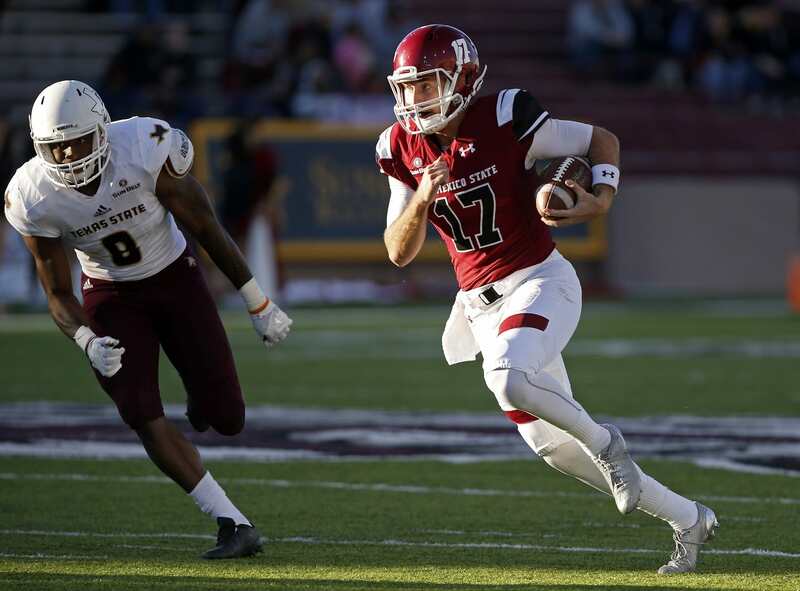 FOOTBALL ALUMNI ONLY: Your donation of $1,500 to the Football Success Fund allows you the opportunity to have your name in the NM State locker room. When you sponsor a locker, your name, years played, position as well as your jersey number will again adorn an Aggie locker. You may also sponsor a locker on behalf of a former Aggie football player. Your donation of $2,500 provides support with recruitment and student travel.